Our team is constantly on the look out for the top deals from big name treadmill brands like NordicTrack, ProForm, Sole, and Bowflex. Here are two amazing deals for the week of October 23, 2018. Bowflex regularly runs special sales to promote their products and this season is no different. Use the code “FALL18” for the following deals: $850 OFF and Free Shipping on the TC200 Treadclimber, $575 OFF and Free Shipping on the TC100 Treadclimber, Free Shipping ($175 value) on the BXT 216 Treadmill, and reduced $99 Shipping on the BXT 116 Treadmill. 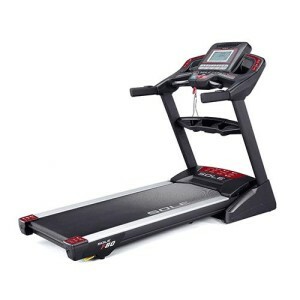 Read our full BXT 216 Treadmill Review. Or, learn more on Bowflex.com here! 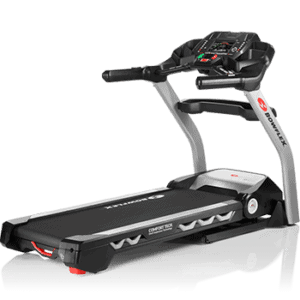 Bowflex BXT 216 treadmill – Read our full review here. This machine consistently gets solid reviews over the years. It offers durability, great features, and a very moderate price. In fact, it’s one of our absolute favorite machines of all time! The F80 includes large 2.5″ rollers, a powerful 3.5 CHP motor, strong warranty, and an extra large 22×60″ running deck. Definitely check this one out. Read our full F80 Treadmill review! Or, learn more on SoleFitness.com here! Sole F80 – Read our full review here. These deals typically only last for a few days, so make sure you act quickly. Our site has a full review of each machine along with direct links to the manufacturer sites so you get the best pricing and value. Check out more reviews and ratings here on our site.